Next BelgianGamesCafe taking place December 1st! 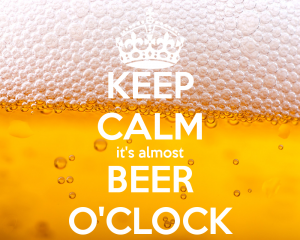 It’s almost beer o’clock again! 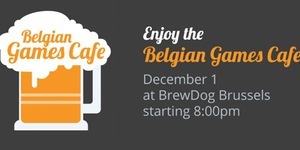 Following the huge success of the last BelgianGamesCafe, Millenium Web Meetings and the three Belgian regions (represented by FLEGA, WALGA and screen.brussels) invite you for a Belgian games meetup in Brussels on December 1st. Why yes indeed, that’s as soon as next week! This BelgianGamesCafe is the festive kick-off of the Millenium Web Meetings 2016’s edition, which is the must-go meeting-point for fans of new technologies and new media. The main happening of the Web Meetings is the 48-hour Cross-Over Lab: game developers, film makers, web developers and graphic designers will bundle their skills to explore the connection between a videogame and an interactive documentary by creating GameDoc prototypes. Join us for a drink with game demos and lots of beers! Have a chat, discover the Cross-Over Lab, check out some cool Belgian games and share your experiences. As per usual, this is a free event, open to all who register upfront. Organised by screen.brussels cluster, WALGA and FLEGA. Powered by Millenium Web Meetings. Belgian game developer and want to showcase your game? Contact us directly. and bring your laptop, mobile device, console, cabinet … with you. We look forward to your showcase!